The flag of Lesotho is divided into three diagonal stripes - the largest stripe on the left is white; the center stripe is blue; and the right-hand stripe is green. In the upper left corner of the Lesotho flag and white stripe is a light brown emblem of a traditional shield - which is a part of the country's coat of arms. 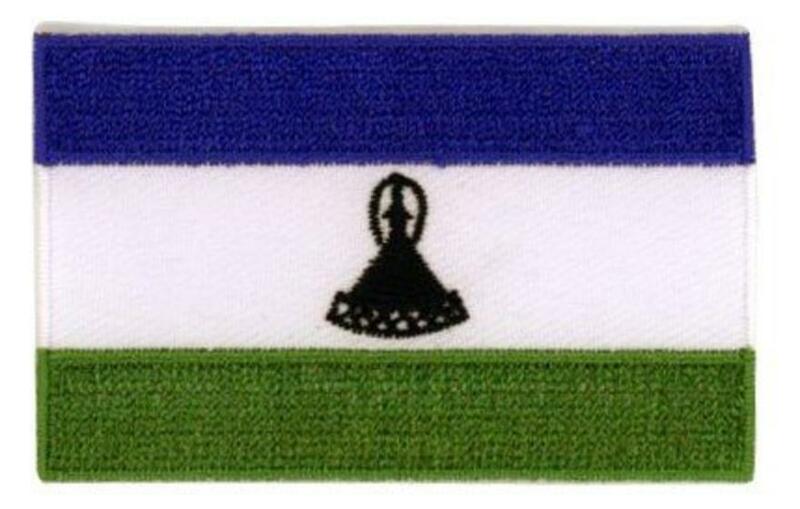 Meaning: The new Lesotho flag retained elements of the original Lesotho flag. It maintained the symbolic use of the national motto from the country's coat of arms: "Khotso-Pula-Nala", which means "Peace-Rain-Plenty". The upper white section of the Lesotho flag represents peace, the blue stripe symbolizes rain and water, and the green section stands for the country's fertile agricultural land. 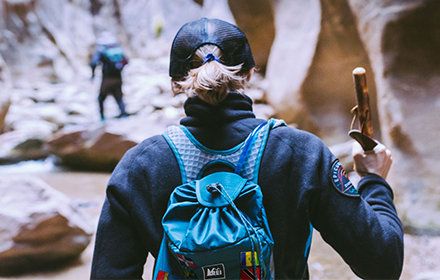 The shield, supported by a spear on the left, a bludgeon on the right and a plumed spine in the centre, symbolizes Lesotho's willingness to defend its independence. History: The Lesotho flag was adopted on January 19, 1987, after a military coup, replacing the flag that was adopted when Lesotho gained independence from Britain on October 4, 1966. 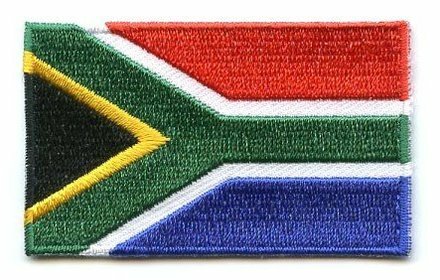 The country also changed its name from Basutoland on this date.